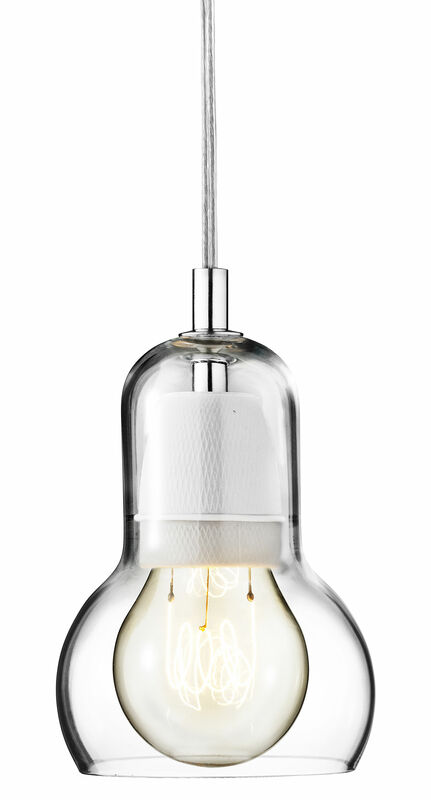 Simple, modern and very elegant: Bulb is a result of searching for absolute plainness.... 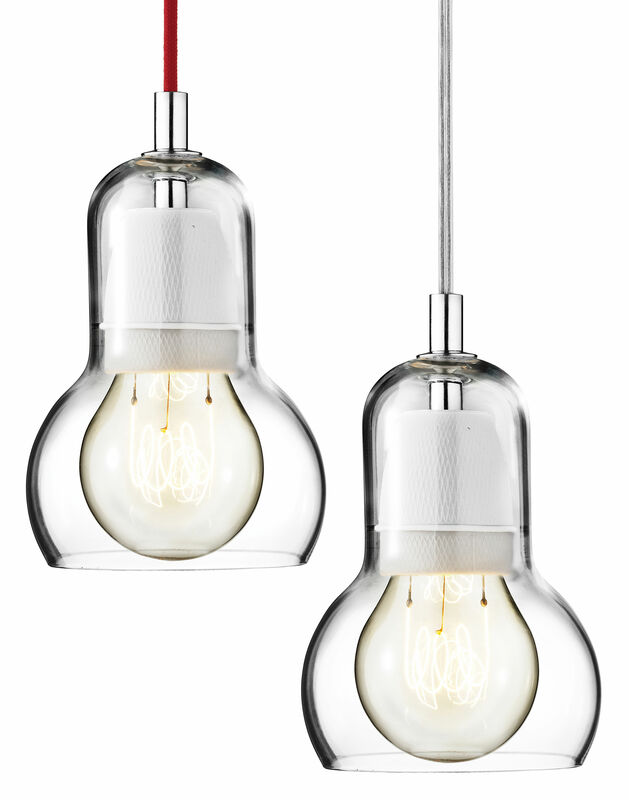 The suspension joins together traditional craftsmanship and requirements of modern aesthetics. 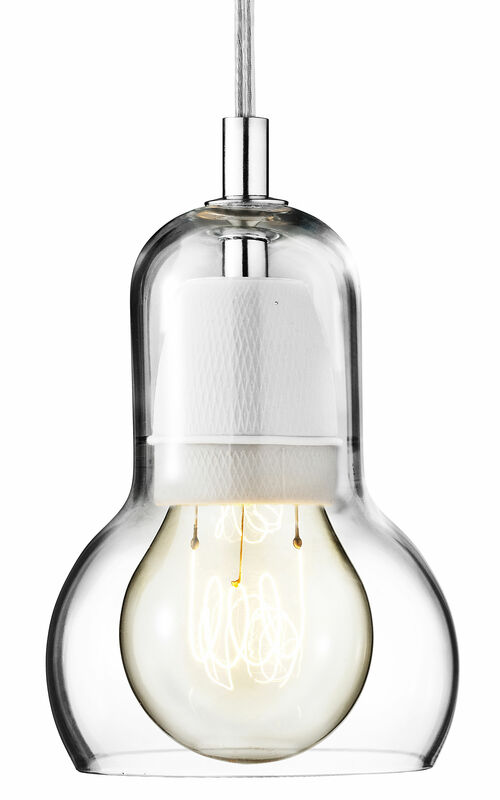 The lampshade in a form of a light bulb is made of mouth-blown glass, which means that every piece is unique! Everything is transparent: the lampshade, the light bulb and even the cable! The porcelain lamp holder and the bulb are the most important aesthetic elements of the lamp. Free of superfluous details in order to focus on the essential. 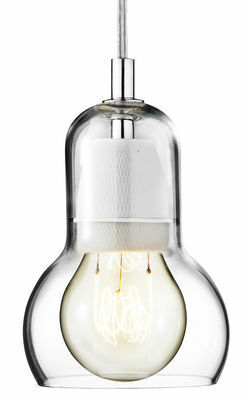 Bulb has a real decorative value (looks wonderful over a table for example) and has won the Good Design Award in 2001.